Steph Jeavons is an author, journalist, and adventurer who, in April 2018, completed a solo around-the-world (RTW) trip that took her to all 7 continents, a world first. The journey lasted a few days short of four years, during which she logged 53 countries and over 74,000 miles on a 250cc Honda. Born in Canada, she’s lived most of her life in Wales and considers it home. Even before learning to ride a motorcycle at 21, Steph was unconventional, leading a successful school ‘uprising’ to allow girls to wear trousers in the winter. 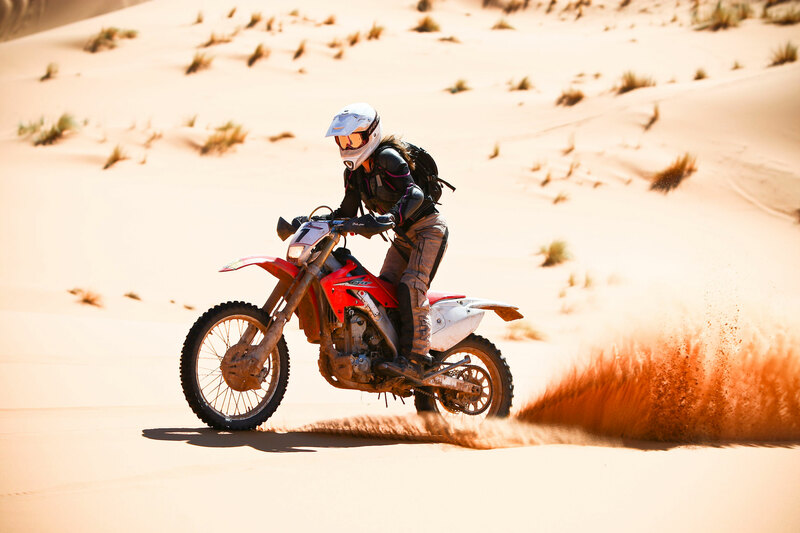 Prior to starting her RTW adventure, Steph worked conventional jobs in accounting and Human Resources; and ran an off-road motorcycle school before leading desert motorcycle tours in Morocco. Unwilling to stay still for very long, she is currently planning to lead the first-ever all female motorcyclist trip to Everest Base camp in 2019, barely a year after completing her RTW. As if riding RTW isn’t enough of a challenge, Steph made regular blog and vlog posts on her website www.onestephbeyond.com and wrote her first book, “Embrace the Cow: How to Ride Around the World on a Budget” in her ‘spare time’. She also got caught in a Himalayan landslide on the highest ‘motorable’ road in the world; rode Rhonda (her Honda) in Antarctica; visited, in turn, the hottest, driest, wettest, and coldest places on the planet; and graciously turned down six marriage proposals. She is currently writing her second book, this one about the RTW adventure.